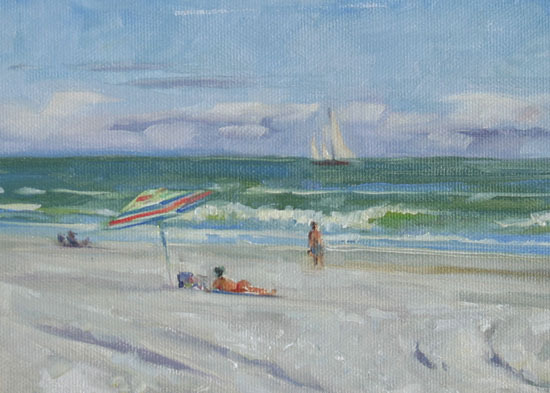 This beautiful sailboat really did cruise by when I did this 5x7. I painted it in first before it was gone, then filled in the rest I knew it might look staged, but who could resist! ?